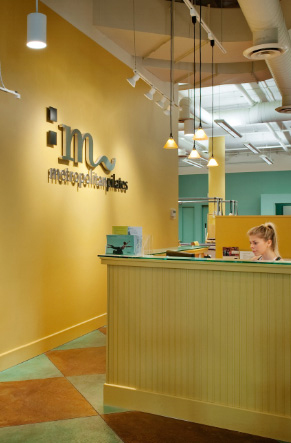 Our Seattle Pilates studio is located in the University Village shopping center next to Crate & Barrel and above Jamba Juice. If you need to contact us about an existing appointment or scheduling, please email our front desk. If you have a general inquiry, please email our office. You can also call us anytime at (206) 525-9900. If you would like to receive emails about our promotions, discounts and new classes, please join our mailing list.